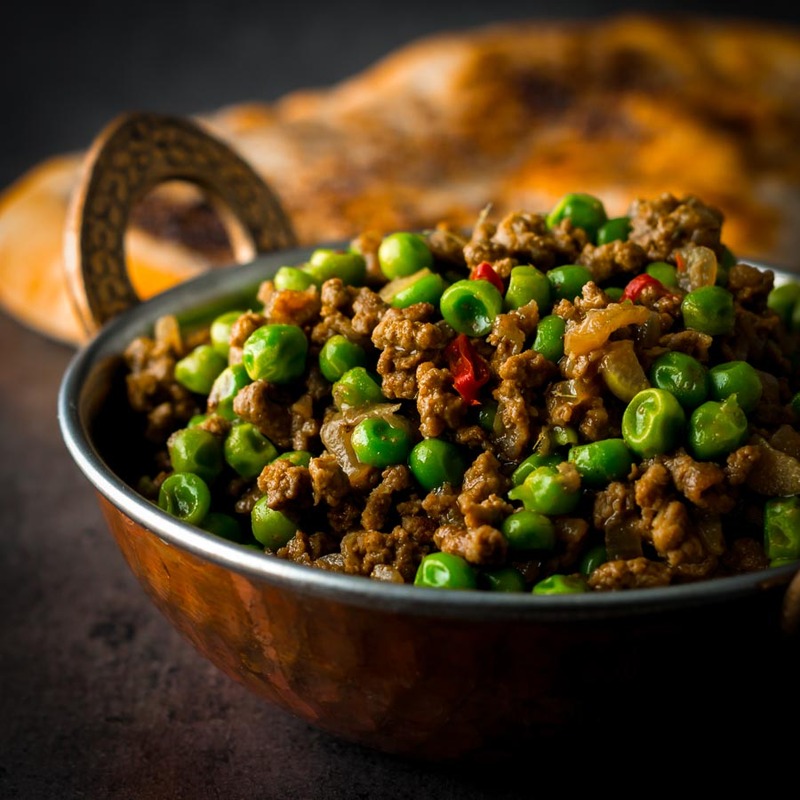 Keema Matar is a classic Bangladeshi/Pakistani lamb curry featuring either ground/minced lamb or mutton and peas in a delightfully simple but spicy and fragrant gravy. 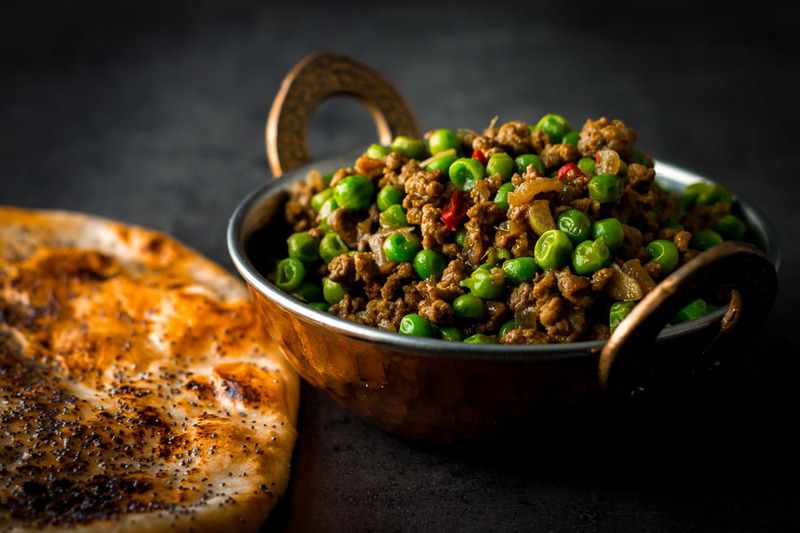 This keema matar recipe is a really rather exciting for me. One of my very favourite dishes and one I rarely get an opportunity to cook! I have waxed lyrical about peas pretty much from day one and my love of curry is hardly subtle here either. Not forgetting lamb, a meat I often lament not being able to buy here often. I love lamb so much that I have been known to buy a whole beast and have it dispatched. Just to get my hands on the rarest of all meat finds here in Hungary. However, when I do get my hands on some it is often an older beast, essentially mutton or hogget. If you have never tried mutton or hogget, do it, think lamb flavour turned up to 11! So yeah it is safe to say that this dish is not just a few of my favourite things. It is without question ALL of my favourite things! Minced Meat and the Brits! Us Brits are certainly not shy of minced meat, we love the stuff. In fact one of our most popular Christmas recipes, minced pies originally contained meat. Now they are a boozy sweet dish, but you can check out a more trad recipe here. I did develop a different curry in lieu of being able to get lamb. Whilst I do love my beef and pea curry but it just aint keema matar! The dish is originally of Pakistani or Bangladeshi heritage, depending which source you believe. 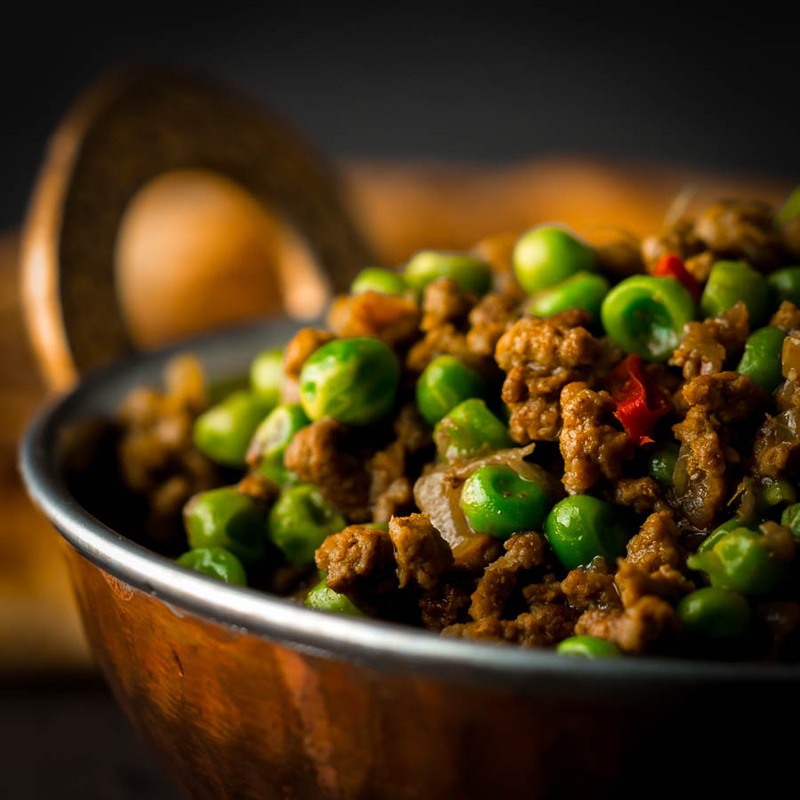 But there is just something about minced meat, peas and a gravy that feels so familiar to a British person. As a result, the addition of Indian spices is not a huge leap. Particularly given the long association between British and Indian food. If you ask me lamb is the perfect meat for an Indian Curry because it has such a big flavour. Let’s face it an Indian curry is full of huge big flavours, not only that but complex flavours too. As a result Lamb can cope with slightly bolder flavours. Many people mistakenly think that you can just swap out one meat for another when creating a curry. Nothing could be further from the truth! Now you could make this with beef, but for me, it is not a straight up trade. Lamb is a rich meat much more so than beef. Consequently, I would scale back the ground coriander and cumin whilst increasing the earth turmeric and fenugreek. It is just a matter of balance, and the fundamental aspect of cooking with Indian spices is balance. If all you can taste is spice and not the meat then you have done it wrong. If you want to play around with another lamb curry recipe check out this really rather lovely lamb rogan josh recipe! 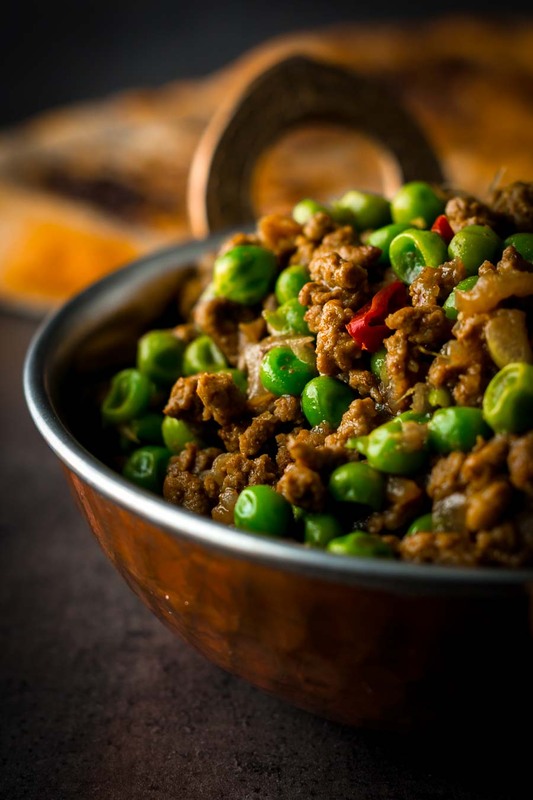 Keema matar is a classic Bangladeshi/Pakistani lamb curry featuring either lamb or mutton and peas in a delightfully simple spicy fragrant gravy. Finely dice and slice the onion and garlic and then slice the chili. Heat the oil in a heavy based pan and when hot add in the black pepper, cardamom, cloves and bay leaf and allow to sizzle for 30 seconds. Now add in the onion and cook for 3-4 minutes. When lightly browned add in the ginger, garlic and chili and cook for a further minute. Add in the minced lamb and cook for 5 minutes over a very high heat so that it sears and releases the fat. Throw in a generous pinch of salt and 250ml of water and the cover and cook on low for 30 minutes. Remove the lid and add in the peas before turning up heat heat and cooking until the liquid has reduced by half which should take 10 minutes or so. Take off the heat and stir in the garam masala and allow to sit for 2 minutes before serving. Use the type of chili that you are comfortable with using, all have different flavour profiles and heat intensities but most importantly we all have different tolerances to capsaicin. What is mild to one is often a raging pit of fire to another. I made this last night and it was fabulous! Easy to follow directions and it was so flavorful and delicious! My husband and I had to push ourselves away from the table to keep from eating the entire recipe in one sitting. This is a keeper for sure. We will be making this regularly. Glad you like it Karen it is a firm favourite for us too! It does look great and I do love a Keema Matar, but technically peas are not Paleo. Glad you like it Rob, although I suspect you have got the Paleo reference from Pinterest, something I have no control over as Pinterest add their own tags that I can not influence. 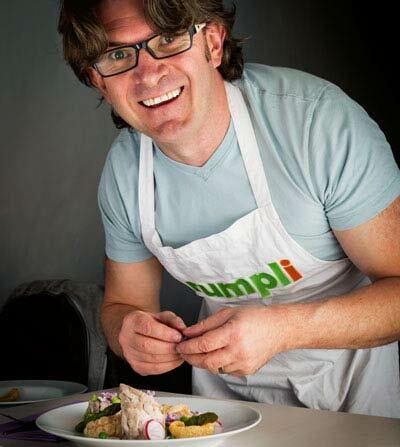 I don’t name check or claim that my recipes fit into any particular dietary system. This looks fabulous. I am a big fan of curry! Wow I bet this has TONS of flavor! It looks so delicious. I’ve never tried making anything with Fenugreek! It certainly does Liz, fenugreek is a fab flavour. This looks fantastic and sounds so flavourful with the lamb and all the spices! I like how easy it is to prepare too. 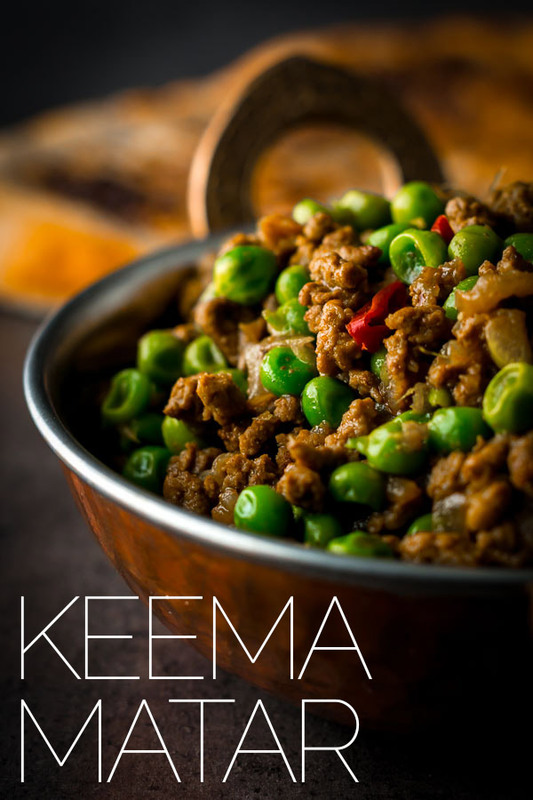 Never heard of keema matar before but now I am intrigued. I enjoy lamb so I will try to make it at home. Yoru photography as always looks delicious and so colorful yummy! Thanks Adriana… I hope you enjoy it! Looks delicious! Do you think it would work just as well with ground beef instead of lamb? It does work well with beef although I would personally scale back the ‘sourness’ from the coriander with beef, lamb is a little bolder and richer so can cope with that almost citrus hit a little better.